Fredericktown Animal Hospital is a full service Fredericktown, MO veterinary practice providing services for companion and large animals in Madison and surrounding counties. Our Fredericktown veterinary hospital provides a wide range of medical and surgical services for ill and injured animals, but our model of care is focused on providing each of our clients' pets with the full benefits of preventative medicine delivered at an affordable cost to their owners. 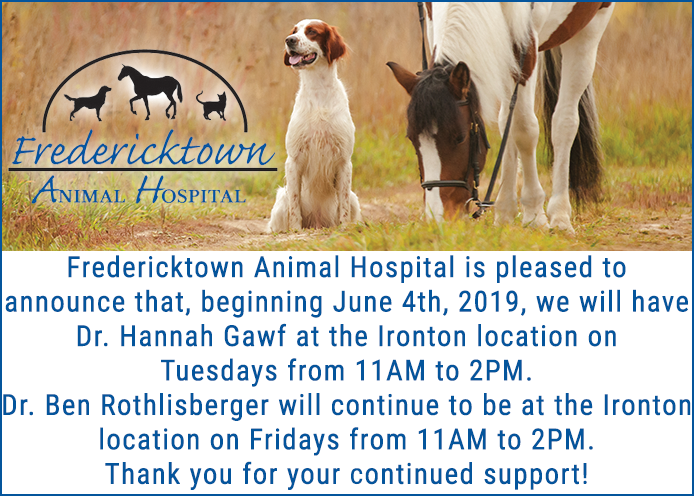 Please browse through our website to meet our Fredericktown veterinarians and staff, review our services and learn more about our facility. Then feel free to give us a call to set up an appointment!